We are actively engaged in coordinating, supporting and undertaking the mapping of Ireland’s seabed, developing and outputting data services and mapping products to support government needs, research activities, and commercial development. Integrated Mapping for the Sustainable Development of Ireland’s Marine Resource (INFOMAR) is Ireland’s marine resource mapping programme. Tasked with creating integrated mapping products characterising and describing Ireland’s seabed, the programme underpins development of the marine sector. 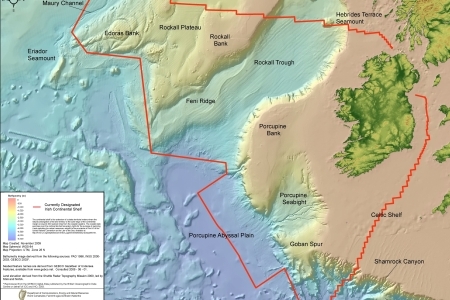 It is a joint venture between the Marine Institute and the Geological Survey of Ireland, and is funded by DCENR. The Advanced Mapping Services team play a key role in undertaking hydrographic, geophysical and habitat mapping as well as implementing the INFOMAR Data Exchange, Integration and Value Added programmes.